Learn how to operate relays and control GPIO pins with the Pi using PHP and a temperature sensor. Ever wondered how to control items like your fans, lights, and more using your phone or computer from anywhere? I was looking to control my Christmas lights using any mobile phone, tablet, laptop... simply by using a Raspberry Pi. Let me show you how to operate relays and control GPIO pins with the Pi using PHP and a temperature sensor. I put them all together using AJAX. 2. Connect the Wi-Fi Adapter. This will open the file in an editor called nano. It is a very simple text editor that is easy to approach and use. If you're not familiar to a Linux-based operating systems, just use the arrow keys. 5. Press CTRL + O to save it, and then CTRL + X to exit the editor. Apache is a popular web server application you can install on the Raspberry Pi to allow it to serve web pages. On its own, Apache can serve HTML files over HTTP, and with additional modules it can serve dynamic web pages using scripting languages such as PHP. 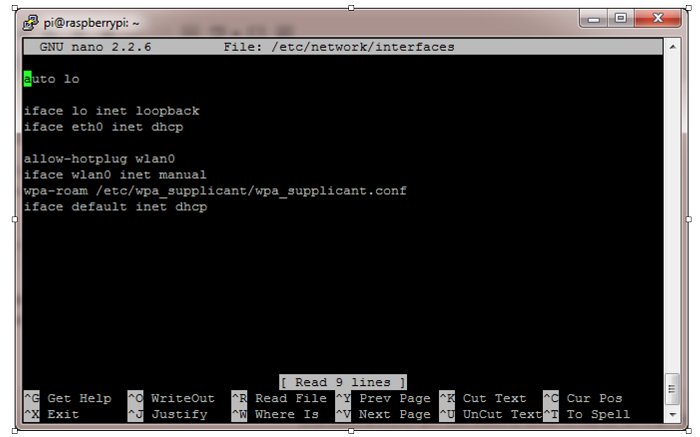 Once the installation is complete, type in the IP Address of your Pi to test the server. If you get the next image, then you have installed and set up your server successfully. To test this, add any file to this folder. PHP is a preprocessor, meaning this is code that runs when the server receives a request for a web page. It runs, works out what needs to be shown on the page, then sends that page to the browser. Unlike static HTML, PHP can show different content under different circumstances. Other languages are capable of this, but since WordPress is written in PHP it's what you need to use this time. PHP is a very popular language on the web, with large projects like Facebook and Wikipedia written in it. It will fetch an updated version, and then you can re-run the build script below. The new build script will compile and install it all for you. It does use the sudo command at one point, so you may wish to inspect the script before running it. This should give you some confidence that it’s working OK.
You should see your device information. In the device drivers, your DS18B20 sensor should be listed as a series of numbers and letters. In this case, the device is registered as 28-000005e2fdc3. You then need to access the sensor with the cd command, replacing my serial number with your own: cd 28-000005e2fdc3. The DS18B20 sensor periodically writes to the w1_slave file, so you simply use the cat command to read it: cat w1_slave. This yields the following two lines of text, with the output t= showing the temperature in degrees Celsius. Place a decimal point after the first two digits (e.g., the temperature reading I received is 30.125 degrees Celsius). 1. Take two jumper wires and connect one of them to the GPIO 24 (Pin18) on the Pi and the other one to the GND Pin. You may refer the following diagram. 2. Now connect the other ends of the wire to the relay board. 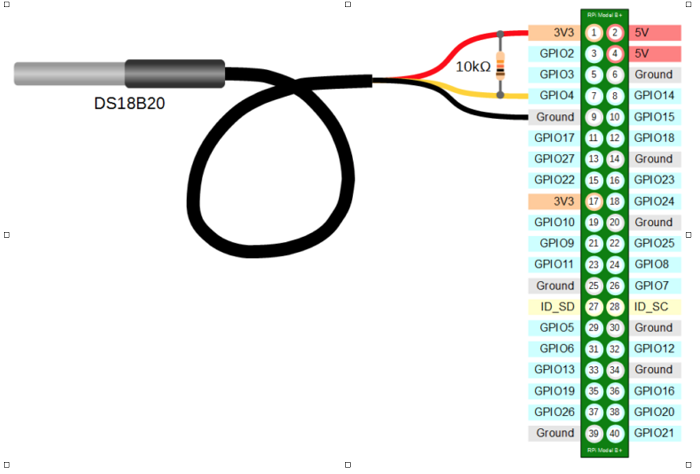 Connect the GND to the GND on the relay and GPIO Output wire to the relay channel pin number, which depends on the relay that you are using. Remember the GND goes to GND on the relay and GPIO Output goes to the relay input pin. Caution! Be very careful with the relay connections with Pi because if it causes a backflow of current, you with have a short circuit. 3. Now connect the power supply to the relay, either using 12V power adapter or by connecting the VCC Pin to 3.3V or 5V on the Pi. Let's create a PHP script to control the GPIO pins on the Raspberry Pi, with the help of the WiringPi software. In the second line, you’ve turned on the GPIO Pin 24, Using “1,” where “1” in binary refers to ON and “0” Means OFF. This will turn ON the relay. Now you need to control both these things from a single page without refreshing or visiting the pages individually. For that you'll use AJAX. 9. Create a new HTML file and add this code to it. 10. Save the file, go to your web browser, and open that page. You’ll see two buttons, which will turn lights on and off. Based on the same idea, you can create a beautiful web interface using bootstrap and CSS skills. 3. Go to the HTML file that you just created, and create a new <div> with the id “screen”: <div id=“screen”></div>. In this, #screen is the id of <div> in which you want to display the temperature. It loads the temperature.php file every 1000 milliseconds. I have used bootstrap to make a beautiful panel for displaying temperature. You can add multiple icons and glyphicons as well to make it more attractive. This was just a basic system that controls a relay board and displays the temperature. You can develop it even further by creating event-based triggers based on timings, temperature readings from the thermostat, etc. Under software requirements, 'SSH client on a Mac or Windows client': a Linux client also works. Great Piece of information, produced in a very elementary way, easy to understand and comprehend. Fisrtly, nice tutorial, I have a relay coming in the next few days to play with. 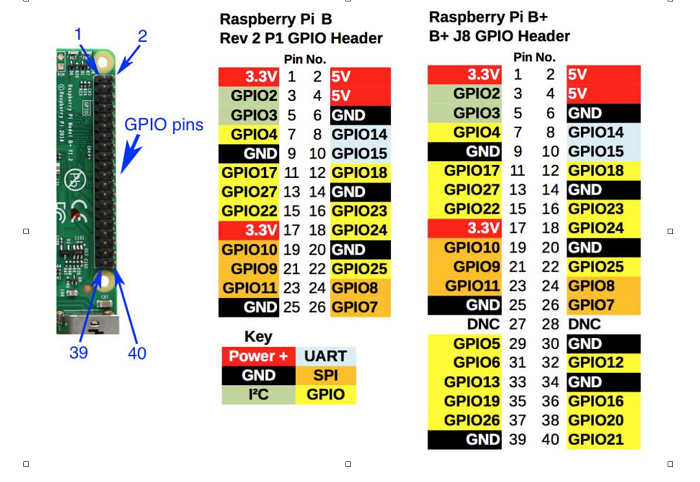 Just to make sure I understand, Pin 24 is GPIO 8?